Australian Superstar DJ Dan Murphy returns! 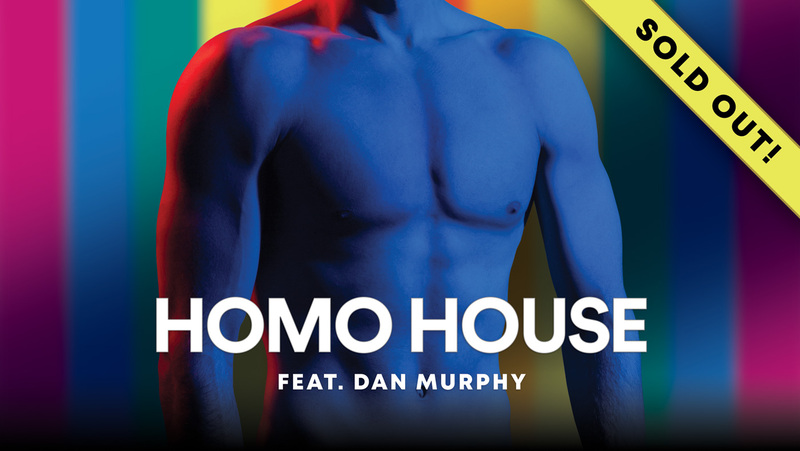 We are very excited to have Australian Superstar DJ Dan Murphy return to Auckland for Homo House! Dan is one of our most requested return DJs and his last appearance at Homo House was a complete sell out. Homo House returns to AURA nightclub, our favourite little underground club with one of the best sound systems in Auckland. DJ Dan Murphy arrives to Auckland fresh from playing in the RHI at the Sydney Mardi Gras 40th party. He has toured all over the world playing some of the major gay parties and festivals, headlining the Sydney Mardi Gras Party many times and some of the globe’s most famous parties including White Party Palm Springs. He’s remixed and worked alongside famous divas including Kelly Rowland, Kylie Minogue and Madonna. Our resident DJ and local favourite DJ Jordan Eskra will be on the decks kicking off the night. We’re constantly striving to bring a better party experience and look forward to partying with everyone once again! As always, there’s no dress code – the less clothes the better!